The Point Concentric 5 is a compact, passive 2-way coaxial loudspeaker, with a 70° conical dispersion pattern. The enclosure is designed to produce linear, high-resolution audio throughout the intended bandwidth. Even though it is of modest size, the PC 5 packs an incredible amount of warmth and punch. The PC5 has two M10 fly points and one OmniMount 20 series mounting point. 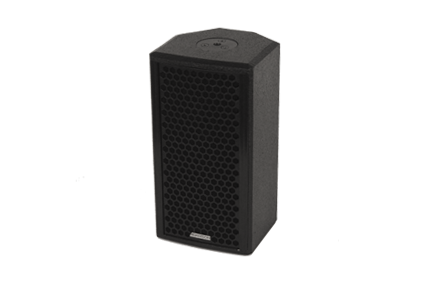 As a stand-alone or fill speaker in distributed systems, the Point Concentric 5 will fit a variety of applications. PC 5 Rigging Bracket (934-0024) Horizontal rigging yoke for the Point Concentric 5.